Word study can be a powerful instructional method for teachers and their English learning students. With this book you can evaluate students’ language needs. Empower your students to grasp this new language at the word level, building skills to understand how English differs from their primary language, and providing them with the skills to predict word meaning through spelling. Words Their Way® with English Learners, 2/e will help you build vocabulary, spelling, and word recognition skills in your English learners, giving them the foundation to master their new language. One reality of today’s classrooms is the limited help available to teachers trying to support English learners’ literacy skills. The educators and researchers who developed Words Their Way® understand this challenge. Their original text, a phenomenon in word study, provides the proven framework and application to allow students to develop literacy skills. And now they apply this approach to teaching English learners. Based on the same solid research, Words Their Way®with English Learners, 2/e helps you determine what your students bring with them from their home languages, where their instruction in English orthography should begin, and how best to move these students through their development. 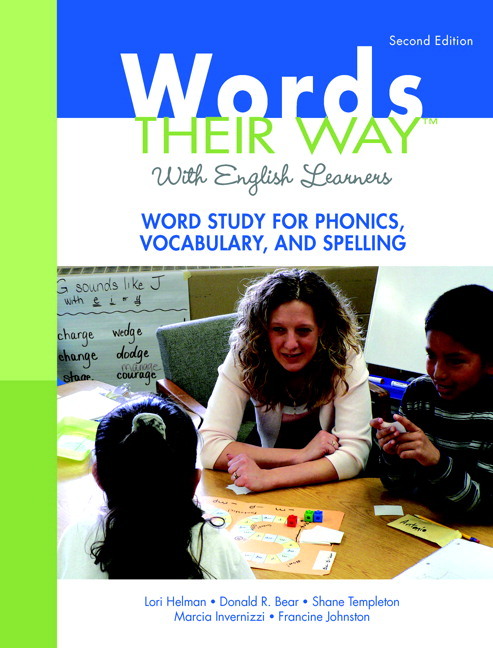 The Second Edition includes the PD Toolkit for Words Their Way® which provides word study teaching scenarios to allow teachers to see how to engage in word study with English Learners. "This is a user friendly [book] that is not bogged down in jargon or superfluous research." "This book is user friendly and a teacher resource that is made to be used." "This book is what teachers have been waiting for...it is a resource that you can access and use just by opening the book." 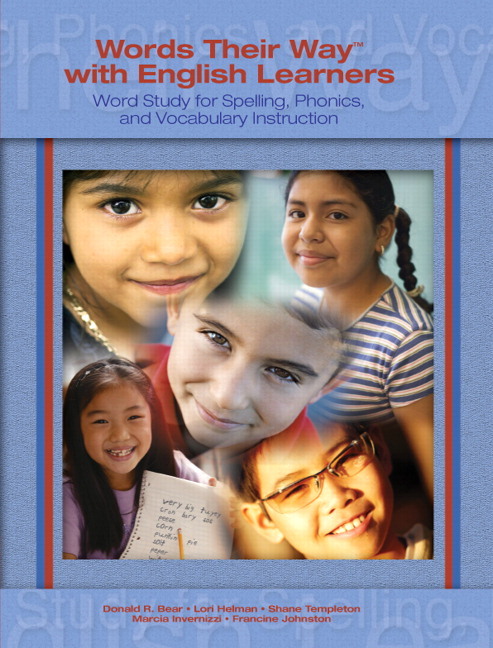 "This ELL gem belongs in every teacher's library." "This is a sorely needed resource that should be in professional libraries in every classroom with English learners." "I highly recommend this book...it is practical, usable, and built on current research on English learners." Unique! Connects students’ home language with their new language helping children improve their oral and written abilities much more quickly. Introduces the stages of spelling and reading development, the assessments to use, and the best ways to organize your classroom for word study. Provide readers with a strong foundation in assessment and help them determine the developmental level of each child. Based on these assessments teachers can then group children with similar developmental abilities. Organized around 5 developmental levels that outline the most appropriate and effective word study instruction for this audience, from the Emergent learner through readers and writers in the Derivational Relations stage. A rich bank of classroom-proven word study activities close each of the five developmental levels found in chapters and promise to engage your students, motivate them, and improve their oral and written abilities in English. Unique! A robust Appendix at the back of Words Their Way® with English Learners, 2/e contains all the assessment tools necessary to get word study underway and offers word lists in Spanish, Chinese, Korean, Vietnamese, and Arabic; picture and word sorts; and game templates to advance word study instruction in diverse K—8 classrooms. Based on the developmental approach of the word study book Words Their Way®, 3/e and new research on working with English Language Learners. Lori Helman is associate professor in literacy education in the Department of Curriculum and Instruction at the University of Minnesota. Her research and writing have focused extensively on the reading and spelling development of students learning English as a new language, including other Words Their Way® instructional materials for English learners. She has also edited a text for teachers, Literacy Development with English Learners. Donald R. Bear is director of the E. L. Cord Foundation Center for Learning and Literacy in the College of Education at the University of Nevada, Reno. As a former preschool, third, and fourth grade teacher, Donald extends his experience working with children who experience difficulties learning to read and write both in the center and in numerous outreach programs. His recent research includes the study of literacy development in different languages and the influence of first language and literacy knowledge in learning to read in another language. He and his colleagues work with many schools and districts to conduct literacy instruction workshops. Marcia Invernizzi is a professor of reading education at the Curry School of Education at the University of Virginia. Marcia is also the director of the McGuffey Reading Center, where she teaches the clinical practice in reading diagnosis and remedial reading. Formerly an English and reading teacher, she works with Book Buddies, Virginia's Early Intervention Reading Initiative (EIRI), and Phonological Awareness Literacy Screening (PALS).